St. Patrick’s Day is this weekend, so I’m updating this collection of The BEST Low-Carb Corned Beef Recipes! You’ll find tasty ideas here for cooking corned beef or using leftover corned beef; enjoy! Check Recipe Round-Ups to find more low-carb round-ups like this one. Click here to PIN The BEST Low-Carb Corned Beef Recipes! Last week I did a round-up of Low-Carb and Low-Glycemic Irish-Inspired Recipes for St. Patrick’s Day, and I hope you’re going to try some of my favorites for the holiday this weekend. Of course corned beef is the star of the St. Patrick’s Day dinner for most people, so today I’m updating this collection of The BEST Low-Carb Corned Beef Recipes to give you tips for cooking corned beef and plenty of options for using leftover corned beef if you’re lucky enough to get some! When I joined the Instant Pot craze, I started using the Instant Pot to make Pressure Cooker Corned Beef, and I’m pretty sold on that method! And for the last few years I’ve used my leftover corned beef to make Leftover Corned Beef Low-Carb Reuben Bake, and that’s a delicious casserole, even if you have to buy deli corned beef to make it. Since I’m such a huge corned beef fan, I love finding other low-carb recipes using it, and I discovered lots of tasty-looking Low-Carb Corned Beef Recipes to share with you. If you like corned beef I bet you’ll find more than one idea here that appeals to you! All photos are copyrighted to the blog that originally posted the recipe; click the recipe name under any photo to find that complete recipe on the original blog. And Happy St. Patrick’s Day everyone! There are multiple methods for cooking corned beef but I recommend you use the Instant Pot or pressure cooker and make this Pressure Cooker Corned Beef with Creamy Horseradish Sauce from Kalyn’s Kitchen. You’ll be glad you did! As you can see my corned beef was so tender I just pulled it apart, but make slices if you prefer. And now for leftover corned beef ideas! 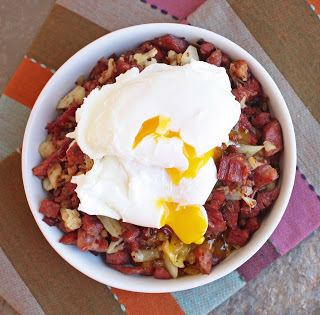 Corned Beef and Cauliflower Hash from I Breathe I’m Hungry sounds like a good way to use leftover corned beef. Add an egg and you’ve got breakfast! 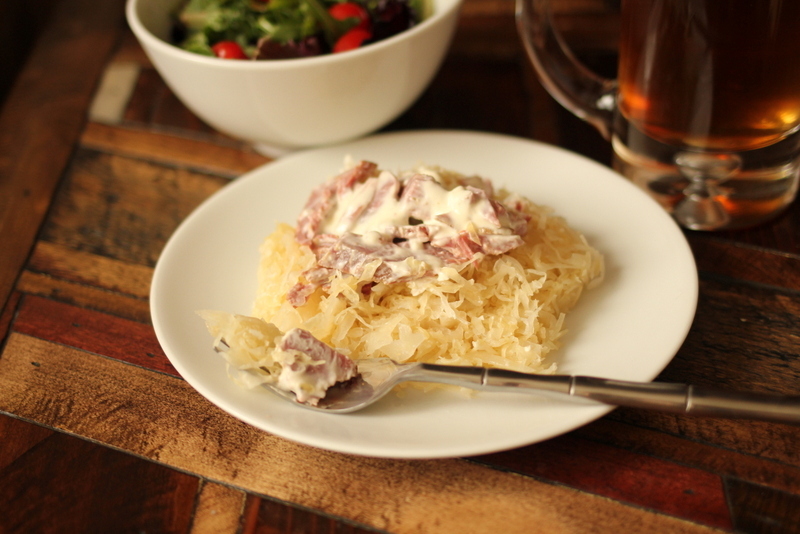 For a quick and easy dinner with leftover corned beef, you can’t go wrong with this Low-Carb Fried Cabbage with Corned Beef from Kalyn’s Kitchen. Seriously drooling over these Low-Carb Reuben Burgers from All Day I Dream About Food. Lettuce wrap burgers + Reuben sandwich flavors = yes please. Another option for low-carb corned beef hash is this Crispy Corned Beef and Radish Hash from I Breathe I’m Hungry! When I have leftover corned beef I always make this Leftover Corned Beef Low-Carb Reuben Bake from Kalyn’s Kitchen. If you like Reuben Sandwiches, this has all those flavors! Reuben Enchiladas from Keto Adapted replace the corn tortillas with cabbage that’s boiled until barely tender and I think this looks great! 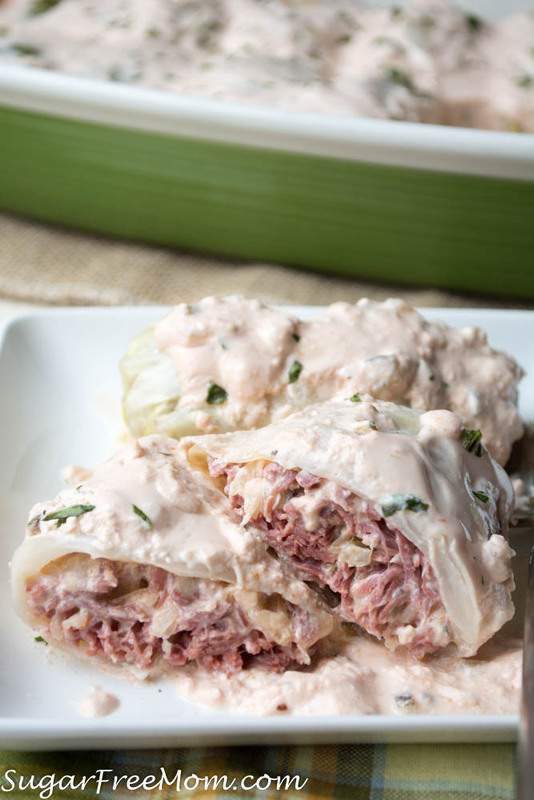 And I also think these Low-Carb Reuben Cabbage Rolls from Sugar-Free Mom look amazing! 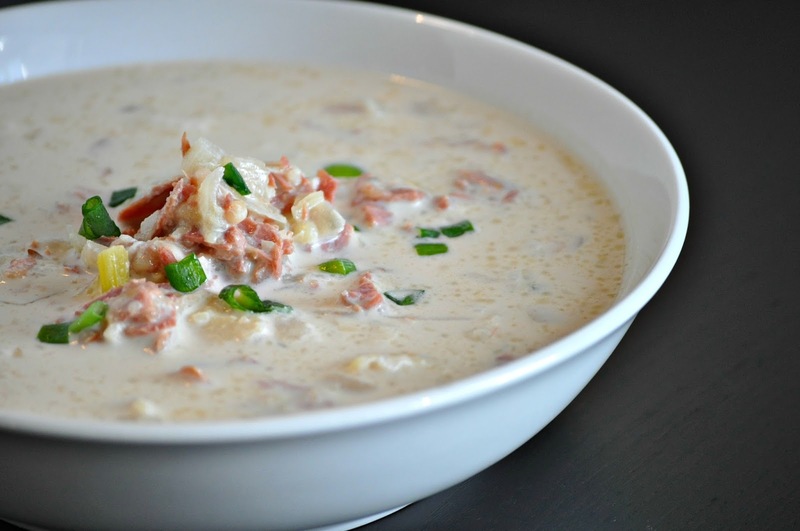 I love the flavors in this Creamy Reuben Soup from Peace Love and Low Carb! Leftover Corned Beef Soup with Sauerkraut and Tomatoes from Kalyn’s Kitchen is another reason to make sure you’ve got plenty of leftover corned beef! 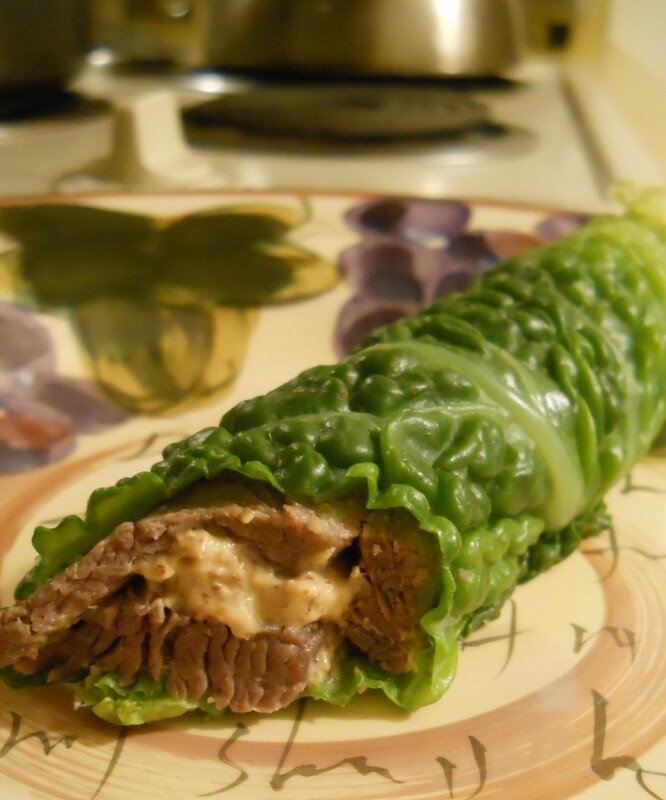 Corned Beef “Noodle” Casserole from Keto Adapted uses cabbage as noodles and can be made in a slow cooker or in the oven. Love the idea of this Reuben Chopped Salad with Russian Dressing from Peace Love and Low Carb; she had me at Reuben! Another drool-worthy option from All Day I Dream About Food is this Low-Carb Reuben Stromboli. 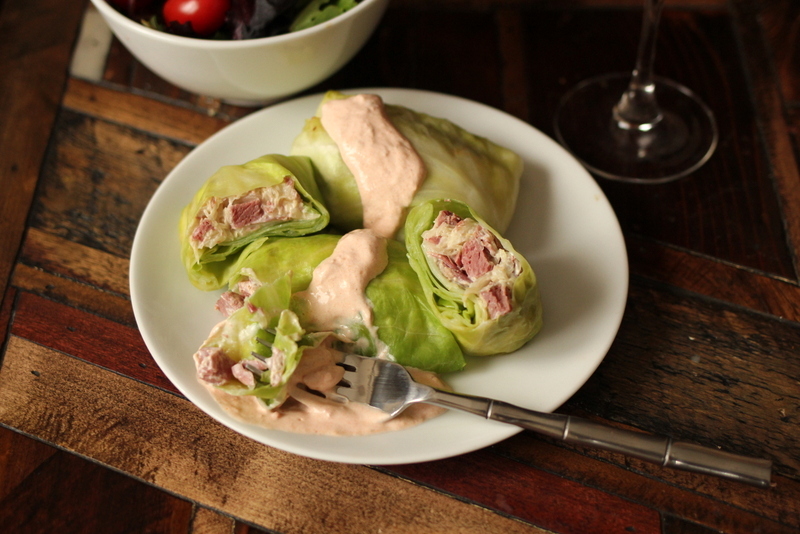 And finally, Corned Beef in Cabbage Roll-Ups from Apron Strings is an easy and tasty-looking way to use leftover corned beef in a low-carb wrap. Want More Low-Carb Recipes for St. Patrick’s Day? Are you cooking special food for St. Patrick’s Day? Tell us in the comments about what you’ll be making! The recipes look wonderful, but there is never any leftovers when I make corned beef! My husband would sneak in the kitchen and make sure! Yes, I know what you mean about that! Squid, maybe you are thinking of the question you asked on this post yesterday, which as you can see I answered within 8 minutes. Duh, I just found this. Please ignore my last question. Thank you for your recipes and work. Glad you found it; hope you enjoy! The best place to ask questions is here on the blog, where they come to my e-mail and I always make an effort to answer promptly. On Facebook and Twitter I do try to respond to questions, but sometimes I miss them because things go by so quickly there. I didn't see a question from you or I would have responded. IASKED A QUESTION,a few days ago re. the corn beef, have not heard from you online that I can find. with all the yadayada you have going on now,I'm guessing the format has changed so much that my simple question is no longer of interest. Sadly I won't be asking you any longer. Times change, sometimes not so good. Thanks for including one of my recipes in this great round-up. I'm just waiting for corned beef to go on sale in a couple of weeks, so I can buy a few pieces and start cooking! Lydia, it is on sale now in Utah!